The questions during the live Twitterchat with the singer, songwriter and composer Sami Yusuf a few weeks ago were pouring in, hundreds every few minutes, from all corners of the world, asking about various aspects of his life, from his taste in food and movies (Burgers or pizza? Have you watched Harry Potter? ), to when he would be coming to perform in their country (from Morocco to Bangladesh, Syria to Sweden), to more weighty issues (What is your life’s most memorable moment? Who is your role model? When you’re 90, what will matter most to you?). The conversation was peppered with profuse declarations of love and adoration (I adore you! Why are you so handsome? You’re the most tolerant,kindhearted and humble artist I’ve ever seen. I can’t sleep without listening to your songs.). From the frenzy of incessant questions and adulation—over 5,000 in about two hours—Yusuf could have been any mainstream pop star with a devoted international fan base, one who knows how to use social media to capitalize on his success. But a conversation with Yusuf reveals a different, more nuanced picture—a star who doesn’t desire more fame, but would rather have more time for dhikr (remembrance of God); a devout Muslim who passionately believes that all of the world’s religions are expressions of the same truth; a musician who uses his songs to promote peace and tolerance, and his fame to help feed the world’s most needy. When he was six, Yusuf asked his father why he taught other students and not him. So one day his father gave him a book on the basics of the Persian instrument tombak, and asked him to continue studying while he went for a tea break. When he came back a half hour later, Yusuf said he had finished the book. His father, not convinced, asked him to play; Yusuf did. That was the beginning. He learned to play several other instruments, including the daf, tar, santoor, oud, violin and piano. When Yusuf was nine years old, a well-known Azerbaijani group came to London to perform, and he went to the concert with his father. When they learned who Yusuf’s father was, they presented Yusuf with his own tar. He learned to play on that tar and still has it. In his early teens, Yusuf was involved in music production with his father. Yusuf studied with traditional teachers and later at the Royal Academy of Music in London, and initially thought he would become a composer. His singing talents were discovered in his late teens. At the age of 16, Yusuf had a profound “religious awakening.” He wanted to leave music, and pursue law at King’s College London. But his friends recognized that he had a gift and encouraged him to make one album, of devotional songs for God and the Prophet Muhammad (pbuh). Yusuf went on a spiritual retreat, and recorded “Al-Muallim” (“The Teacher”) in 2003, when he was 23 years old. The album sold over seven million copies, and turned him into an instant star. Yusuf continued in music because he felt there was a need for the type of music he was producing, especially after the Sept. 11 attacks. Muslims, particularly young Muslims, were searching for a way to feel proud of their identity, and his songs seemed to havestruck a chord. They are a blend of East and West, reflecting his own heritage and background—Yusuf was born to an Azeri family in Tehran and grew up in London, surrounded by people of different faiths and backgrounds. He sings in different languages and uses a variety of Persian and Western instruments. His well-produced videos are set in various parts of the world. The themes in his songs reveal Islamic values of respect, tolerance, compassion, and generosity, which are also universal virtues, thus helping to make the faith more relatable and accessible to all audiences. Yusuf is uncomfortable with the labels that were being applied to his music, like “Islamic pop,” and he didn’t feel his songs fit existing categories, like nasheed. So he calls his genre “Spiritique.” His explanation of what this means provides some insight into Yusuf’s passion for intellectual pursuits. “Spiritique is a celebration of ‘sophia perennesis,’ or timeless wisdom,” he said, “You can find this wisdom or truth in all the great traditions; it is in Bulleh Shah and Maulana Rumi as well as in the teachings of Aristotle and other Greek philosophers. All that wisdom has a thread of truth in it, it has the sacred in it, and that’s what I’m concerned with. It’s celebrating that truth, bringing people closer to that timeless wisdom.” More simply put, he said, his music is a way to bring people closer together. 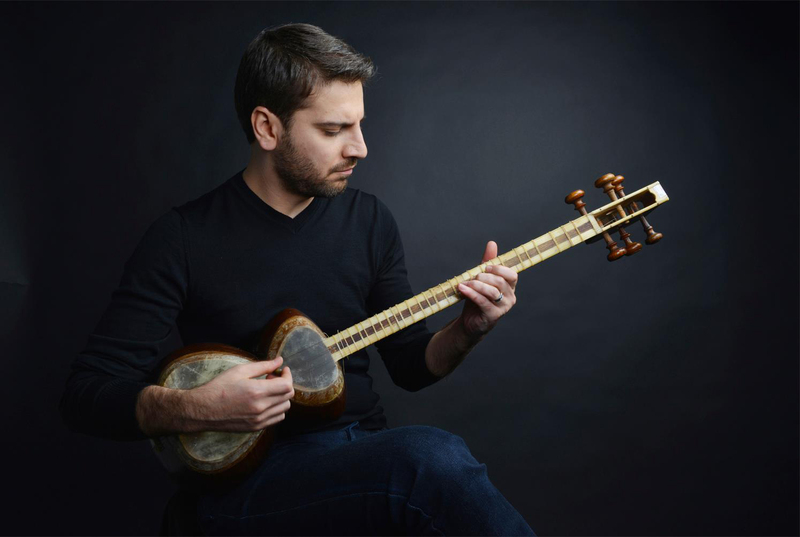 I had heard of Sami Yusuf and knew some of his songs—my husband had brought back his CDs from a trip to Cairo a few years ago—but I had little idea of his superstar status. My family and friends decided to go to his concert at the Strathmore Music Center near Washington, D.C., this September. The concert was a benefit for the Foundation for Traditional Studies, an organization that seeks to preserve and strengthen the world’s great traditions. Its president is Seyyed Hossein Nasr, the renowned scholar of Islam and someone for whom Yusuf has deep respect (he is currently reading “Knowledge and the Sacred” by Nasr); he too was at the concert. Yusuf’s upcoming album, “Songs of the Way,” his sixth, due out in January, is a tribute to Nasr, who composed several poems and recites them on the album. Yusuf has a charming presence on stage, humble and engaging. Often dressed in a black shirt or jacket, with a close-cropped beard, good looks, and a warm smile, it’s easy to see why he has so many adoring, especially female, fans. Yusuf sang a number of songs from his latest album, “The Centre,” as well as traditional favorites like “Hasbi Rabbi.” Many of his songs start off in English, and blend into one of the several languages in which he sings, including Arabic, Persian, Azeri, Turkish, Urdu and Malay. He has an easy rapport with his audience and encourages them to sing along. In D.C., we were perhaps more tepid than the crowds he’s used to in Istanbul and Cairo, but his music definitely had a visible and audible impact. My father-in-law, typically quiet and reserved, was clapping and tapping along; this was the first time he had heard Yusuf’s music and he said he felt uplifted. My husband said he felt more inspired to pray after listening to Yusuf’s music than he does after many Friday khutbahs (sermons). This is likely the type of reaction Yusuf is hoping for, although he is not one to admit it. “I don’t expect any particular emotion from my music, it would be too presumptuous, self-righteous,” he said when I told him of my family’s reaction, as we sat down to talk in the lobby of a downtown D.C. hotel. His wife joined us. Yusuf has been married for 10 years, but is guarded about his personal life. Instead, we talked about what inspires his music, his traditionalist worldview, his work with the United Nations World Food Programme, and why he thinks there is so much chaos in the world today. I asked Yusuf how he stays centered, given his popularity, fame and the temptations of the business. “Meditation, contemplation, reflection and constant remembrance of God. There really is no other way,” he replied. No doubt his humanitarian efforts help as well. Yusuf has worked closely with the World Food Programme since 2011, and in September he was appointed Global Ambassador Against Hunger. “Hunger is at the heart of so many of the world’s problems,” he said, “it kills your soul and spirit and aspirations.” According to the World Food Programme, over 800 million people don’t have enough to eat, and poor nutrition causes nearly half of all deaths among children under five. In 2011, Yusuf composed a song called “Forgotten Promises” to raise awareness and funds to alleviate hunger in the Horn of Africa. All proceeds from the song were donated to WFP; each download helped feed two people. The music video, shot in 16 cities in eight countries, has almost nine million views on Facebook. In December, WFP announced that because of a funding crisis it will need to cut food rations to over 1.7 million Syrian refugees, unless money is raised immediately. It launched an emergency social media campaign called the “72-hour movement” to encourage donations. Yusuf recorded a video message urging people to donate: “For you it’s a dollar, for them it’s a lifeline,” he posted on social media.